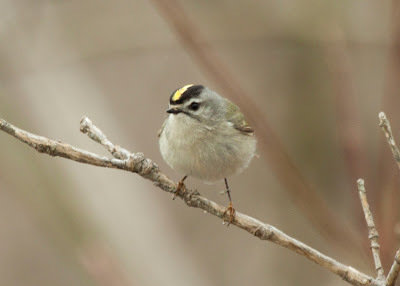 Rob writes: I found myself in northwest Ohio again this past weekend for the final meetings for the Biggest Week in American Birding field trips. On Saturday morning, I was planning to lead a Hike the Dikes event with my friends Kelly and Deb at Magee Marsh but due to the cold and windy weather, no one showed up for our hike. Instead we enjoyed a great few hours on the Magee boardwalk! 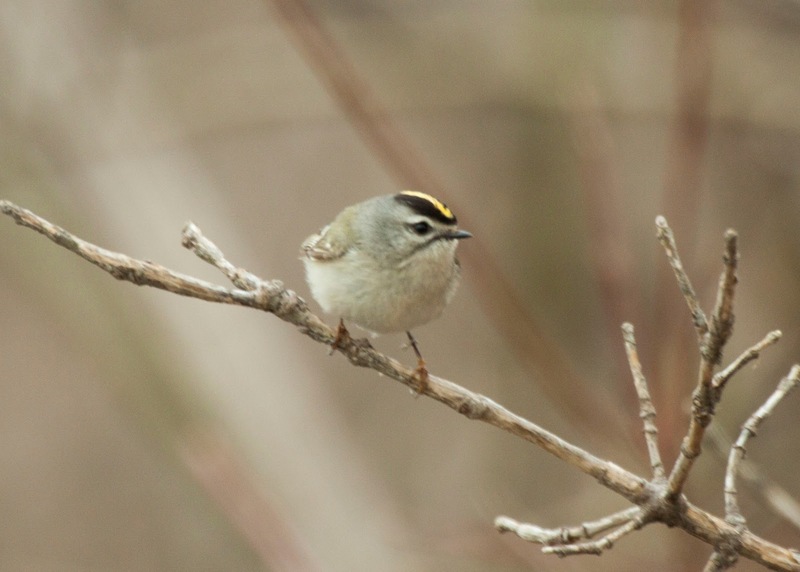 We ended the morning with 64 species including many of these awesome Golden-crowned Kinglets. The highlight of the morning was the massive congregation of scaup on Lake Erie. We estimated that there were at least 10,000 scaup with a few other species mixed in. It was one of the most impressive flocks of ducks that I have ever seen and they were almost completely gone the next morning!